VictorOps integration is available out of the box with Opsview Monitor. 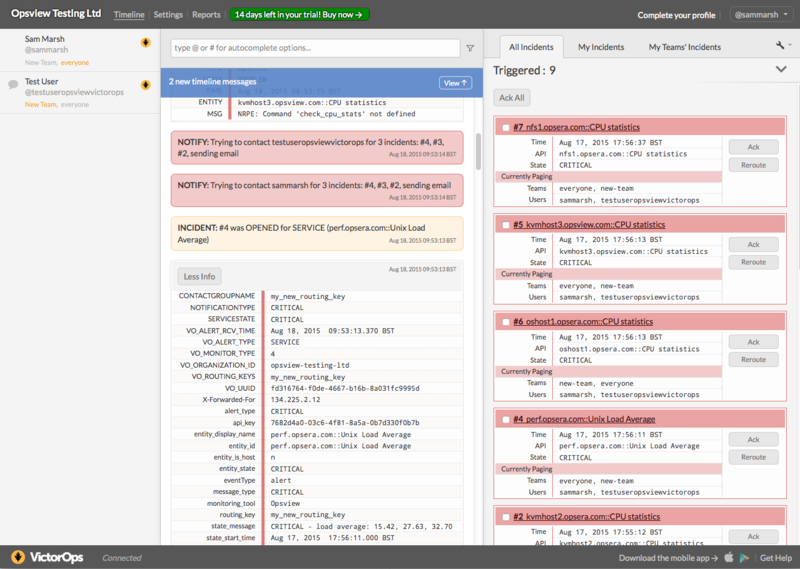 Like PagerDuty, VictorOps is a message platform where Users can send various messages to VictorOps, and create rules within the VictorOps application to dispatch alerts via various methods such as SMS, Email, etc to individuals or groups of Users. Users need to setup an account on VictorOps and follow the steps provided in Opsview Knowledge Center to activate it on the Opsview system.